Aviva Premiership Rugby club Wasps have announced that Joe Launchbury will captain the club in the 2016/17 rugby season. The England lock, who is closing in on a century of appearances for Wasps, has been an integral part of the core group of young English players coming through at the club over the past few seasons, who are now winning international recognition. 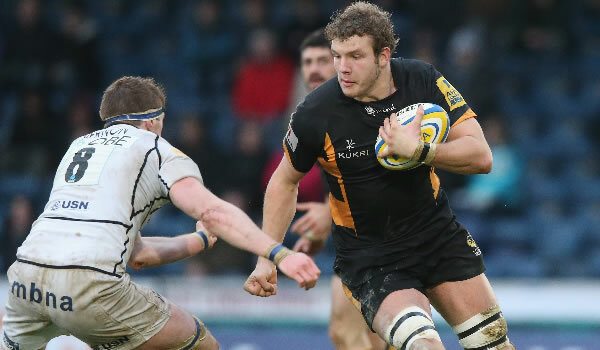 Launchbury is entering his seventh season at Wasps, having joined from Worthing as a 19-year-old, in 2009. He has gone on to win 35 caps for his country, in addition to the 91 appearances for his club. 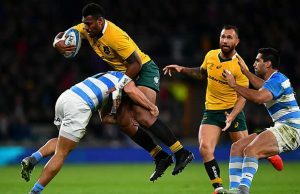 Wasps Director of Rugby Dai Young said: “Joe is a natural leader around the place and I think he has grown with the responsibility of being a leader and an international over the last couple of seasons. He has already proven himself as a world-class player and I’m sure the captaincy will only help him grow again. 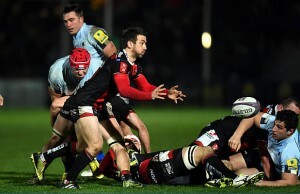 “Joe has tremendous role models to follow in James Haskell and Matt Mullan, who have been outstanding for us. They’ve done a fantastic job and we obviously want them to retain a leadership role. They’ve been tremendous for the squad and have really helped to set the standards and I know Joe will have their support 100% as we move forwards. “Unfortunately, James picked up a nasty injury while playing for England which means he will miss a major chunk of Wasps’ season. That in itself makes it difficult to do the job of captain, but we also want him to be a little bit selfish and focus on himself so he can concentrate all his energy on getting back to full fitness as soon as possible. “Matt has been around the captaincy role for almost three years now and while it is a big honour, people don’t see all the extra work that goes in behind the scenes and the off-field commitments that go with the captaincy role. From my point of view, I feel three years is probably the right amount of time before then passing the baton on and have someone else step up. But with players of James and Matt’s calibre and experience, you certainly wouldn’t rule out the possibility of them doing the job again sometime in the future. “We need to grow the group and there’s an opportunity for all our young guys coming through, headed by Launchers, to really develop as leaders as well. Great teams don’t only rely on one or two leaders, they have five or six and that’s what we’re also trying to do. “We’ve been fortunate to have had some fantastic captains during my time here with Hask, Matt, Chris Bell, Hugo Southwell and John Hart and I’m sure Joe will be excellent for us as well. As well as being an incredibly talented player, he has the respect of the entire squad and coaching staff and will really help to drive standards. Looking ahead to the new challenge, Joe Launchbury said: “It’s a massive honour to have been named captain and something I am very excited about. Wasps is a club I’ve been at for a number of years now and I’ve played under some great captains during that time, so I’ve learnt a lot from them, particularly most recently from Matt Mullan and James Haskell who have been two great captains for us. “I know they will be a massive help to me over the next 12 months and it’s a role I’m really excited about. We have a squad packed full of talent so it’s now important we hit the season running.